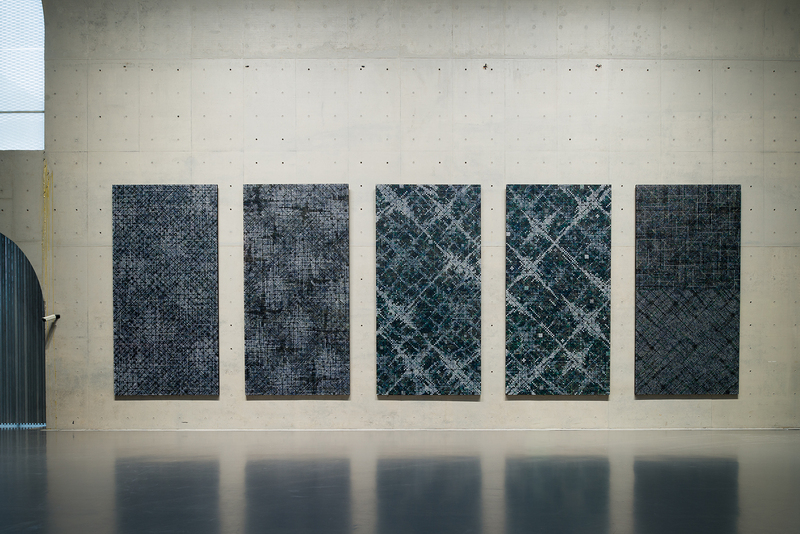 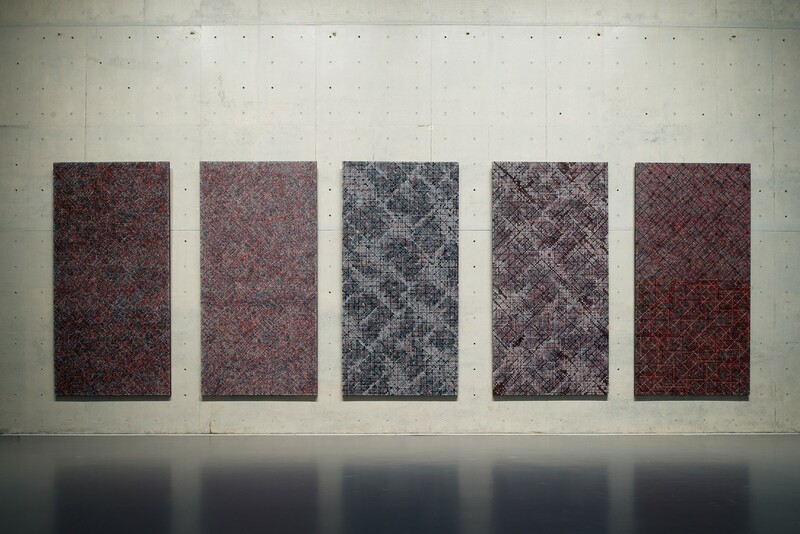 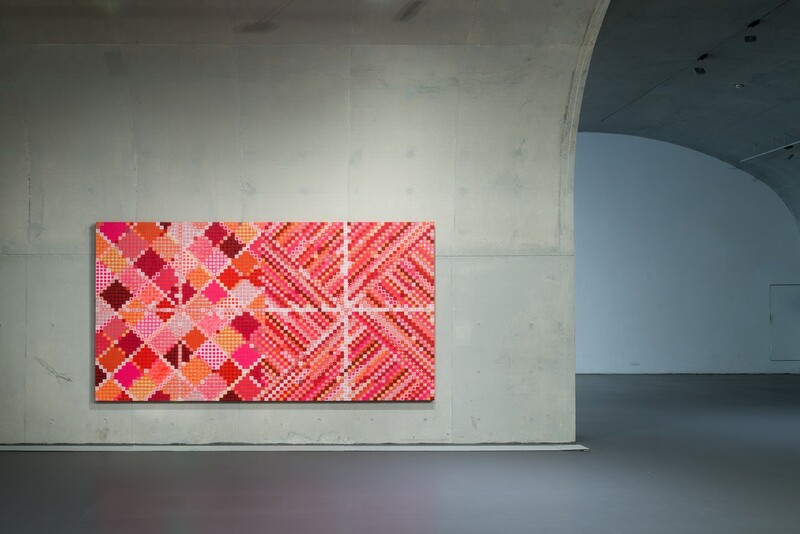 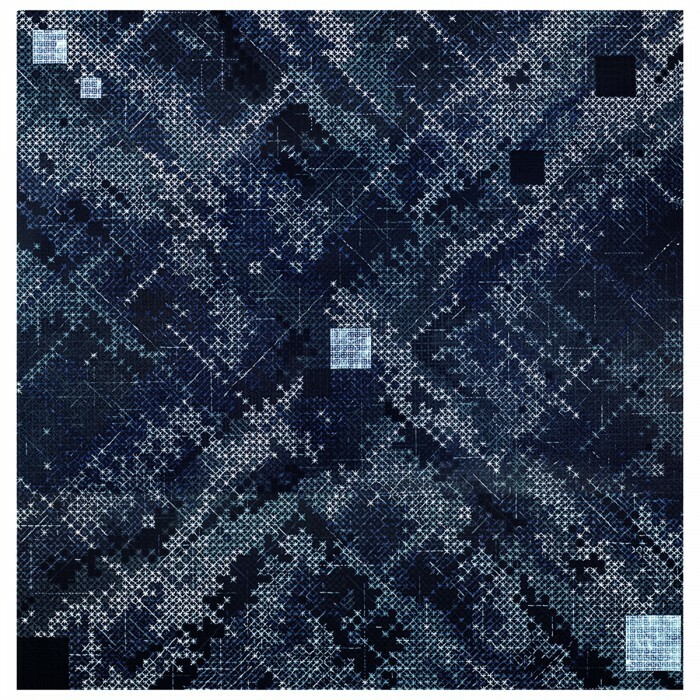 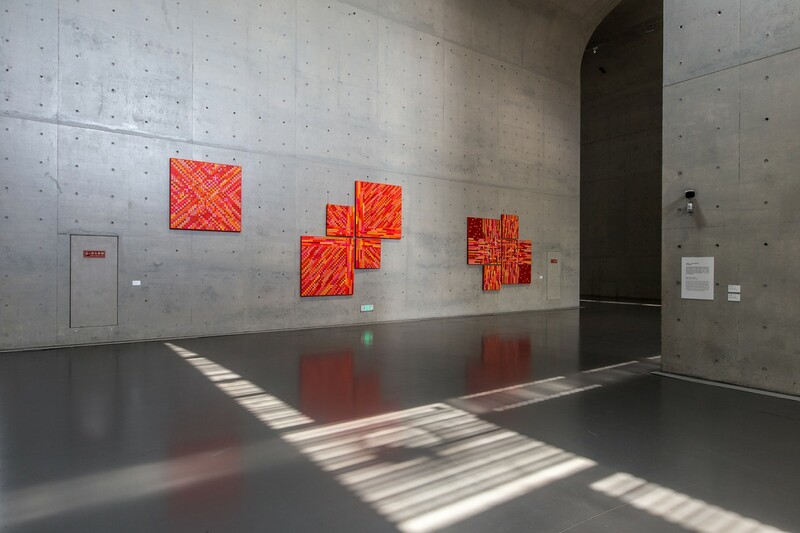 ‘DING YI: What’s Left to Appear’ is a solo show of the work of the contemporary abstract painter Ding Yi at the Long Museum in West Bund, Shanghai. 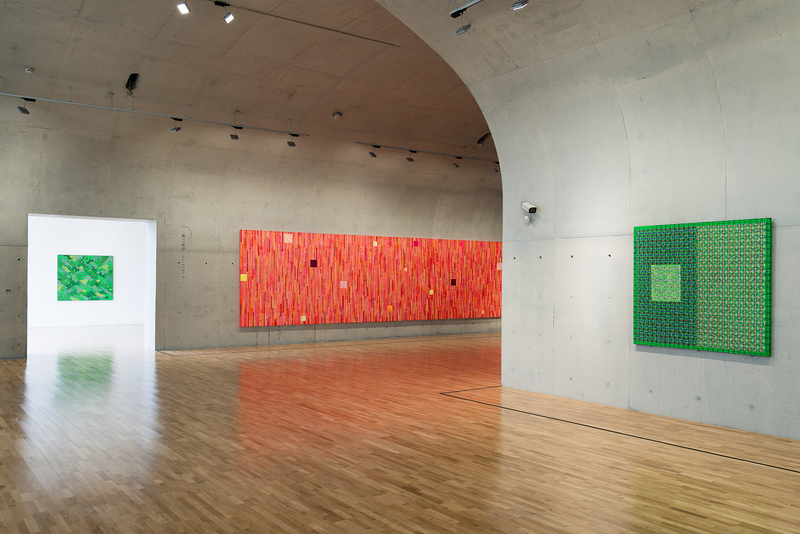 The exhibition, curated by Shane McCausland, opens on June 6, 2015 and runs through the 26th of July. 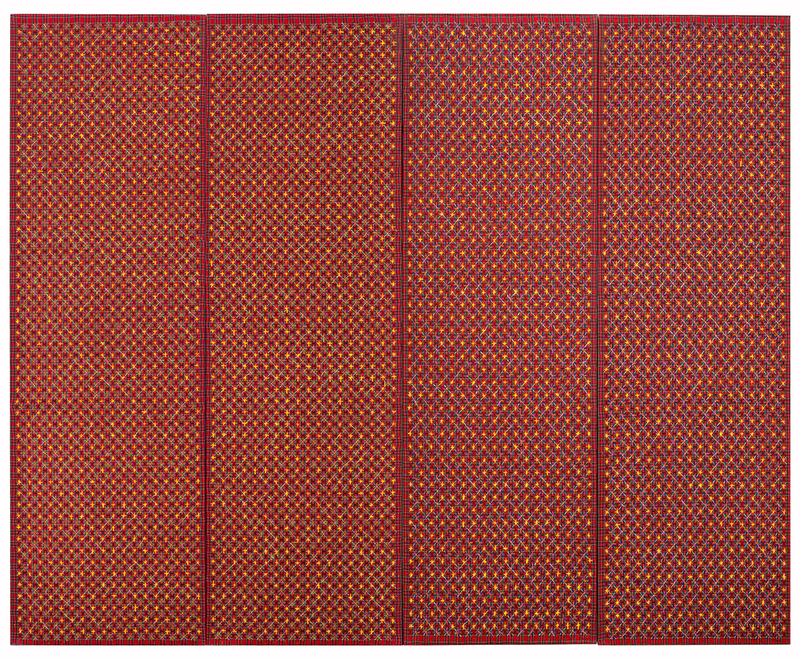 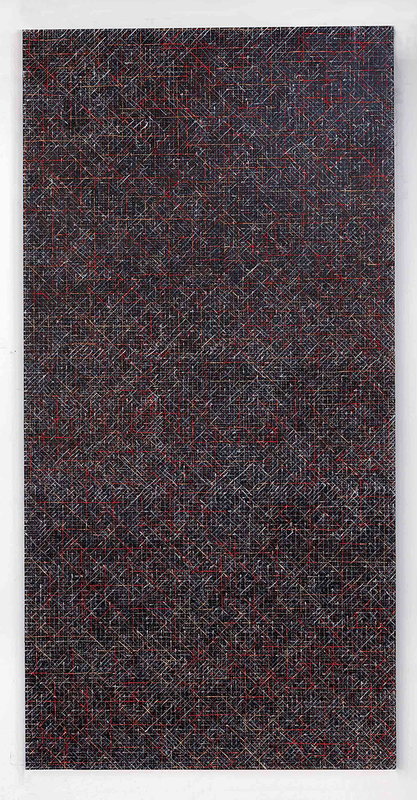 The exhibition will feature more than one hundred paintings and drawings on media including canvas, tartan and paper, from the collection of the artist and his gallery ShanghART and from institutional and private collections in China, and these will be centered around new works from 2015 created using thick layers of lacquer-like paint scored through to reveal searing layers of color, structured as always by Ding Yi’s trademark grid idiom. 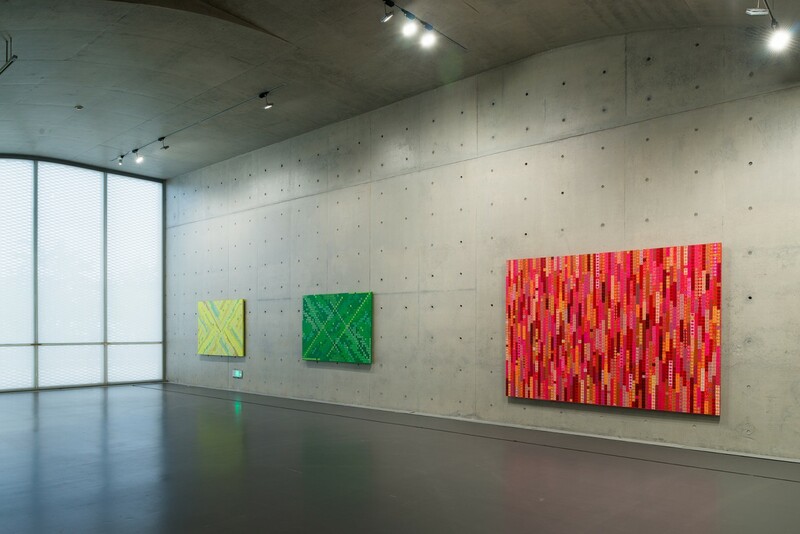 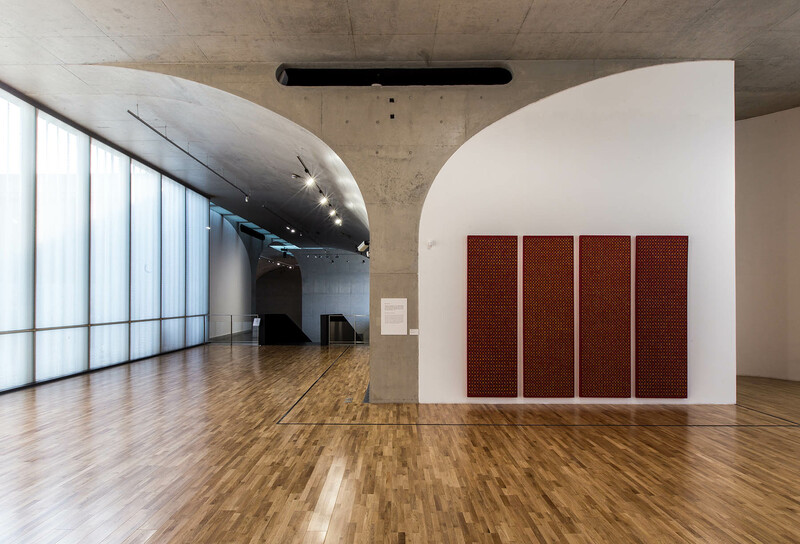 Designed by Atelier Deshaus and opened in 2014, the museum is a vast and consciously post-industrial space, its cavernous galleries enclosed by high smooth concrete walls: its ground and mezzanine levels covering almost 3,000 square meters will provide a distinctive environment for lingering and looking, for an immersive experience of Ding Yi’s work.